What we need is an Image Gallery!! Having had the opportunity to work on a number of projects and see a whole range of requirements and needs for CRM, I thought I would share this one as this forms part of our new solution ePicture. I was recently working with a customer, who had a catalogue of images for products that they sold, these happened to be images of Telephone handsets and switches. There was a requirement and a need to include these images into CRM so they could be used with Quotes, Orders and web site integration. It was also made quite clear that there was no apparent budget or desire to introduce a SharePoint instance or integration into the organisation. 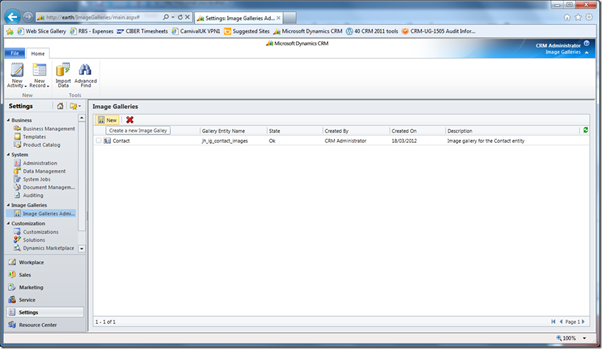 This way the ePicture solution can be used through simple configuration, any entity in CRM can have an associated picture gallery and the example I use is Contacts and Products. Online Selling and Online shops is growing at a pace and the old adage “A Picture Paints 1000 Words” rings true, as when you shop online or request a quote you are always more interested when you have a picture of the product your thinking of buying. With ePicture you can enhance the product library in CRM2011 and send your customers compelling graphical quotes, which are generated through the standard reporting in CRM 2011. 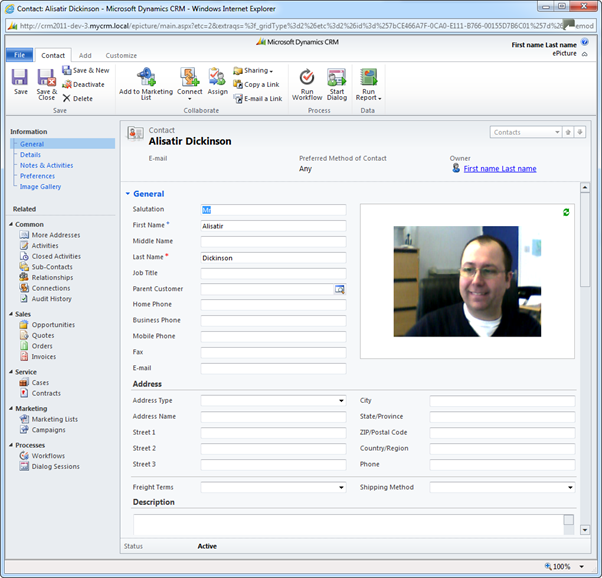 The other use for ePicture here is the use of a solution like this to capture pictures of contacts on your CRM system. Well this is great when your organisation is inviting people to an event and you want to issue an ID card you can simple take a web cam and record at registration point the person’s photo for the event purpose, this said you can also use the same feature for leisure or club membership where it is important to capture an image of the individual. ePicture comes with an additional resource so that you can add a primary picture to the top level record while you may capture more than one picture for the individual in the image library.